The web is full of great art resources with access to so many remarkable free eBooks through organizations like Gutenberg.org, Archive.org, Open library.org and Google books. 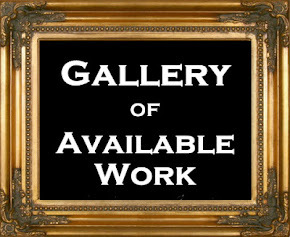 These have open the door to a wealth of information on art and a knowledge base just sitting there waiting to be explored. I have a real infinity for the older texts, they are an interesting insight into the process and procedures of our artistic forefathers and our heritage as artists. I have listed just a few of what I consider major reads for an artist. 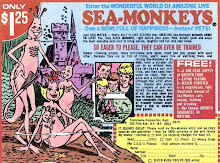 Many are just all time classics like the Andrew Loomis books, Harold Speed and Alfred East. The others I found particular interesting as far as being relevant to the practice of classical and representational painting. But all styles and genres are equally represented if you spend the time looking through the expanding and expansive list of titles available. All of the resources listed offer eBook, PDF, web and mobile browser reading experiences. Google Books is a searchable digital database that allows you to build a personal library, offering free books or purchased books that are accessed through your Google account. Project Gutenberg is a volunteer effort to digitize and archive cultural works, to "encourage the creation and distribution of eBooks". PG has over 100,000 free eBooks available through their partners, affiliates and resources. This site is free, offers many languages and operates on donations. Archive's motto is “Universal Access to Knowledge.” A digital library of Internet sites and other cultural artifacts in digital form. It provides free public access to collections of digitized materials, including websites, music, moving images, and nearly three million public-domain books. Open Library is another project of the Internet Archive. The site seeks to include a web database for every book ever published: it holds 23 million catalog records of books. It also seeks to be a web-accessible public library: it contains the full texts of about 1,600,000 public domain books in partnership with over 1,000 library partners from 6 countries. Registration is free. Issuu (pronounced 'issue') is a free digital publishing platform for magazines, catalogs, newspapers and more. As a digital newsstand with over 18 million publications and 80 million active readers. I wanted to include this resource because it is really a unique website, started in 2006 it is a self-publishing website. The basic service is free. Issuu allows you to publish books, newsletters, and magazines to a professional looking online magazine format and distribute your writing to a worldwide audience. There is a lot of mediocre stuff to wade through, but the gems are worth it. And here are my favorite and most highly recommended. 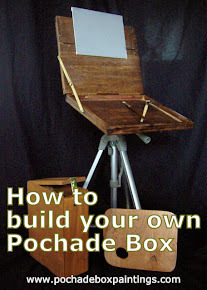 A complete treatise on the principles and technique necessary to the painting of pictures in oil colors. One of the most respected books available on painting, for good reason. One of the most informative books I have read, this book will enlighten you. 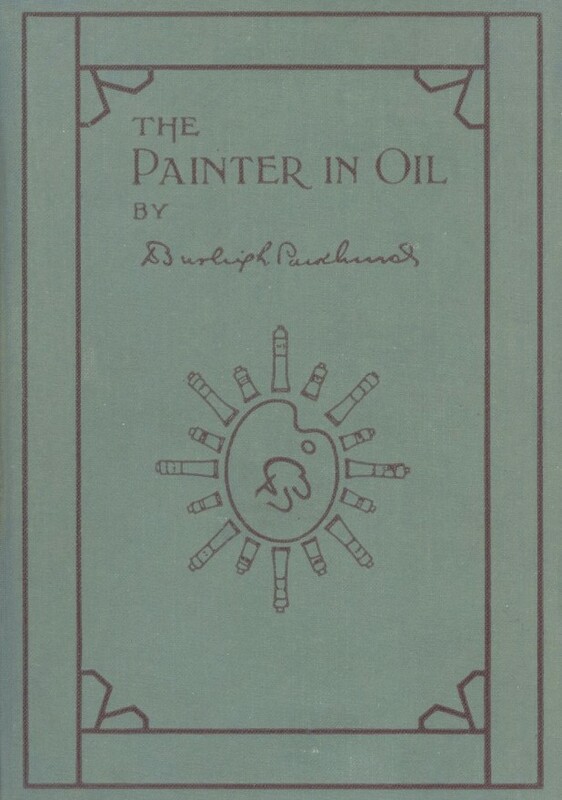 I have mentioned this book before on this blog and truly consider it and his second book “Oil Painting Techniques and Materials” to be the most useful and treasured books I own. His second book unfortunately is not available online, but both are very inexpensive in paperback and I highly recommend them. 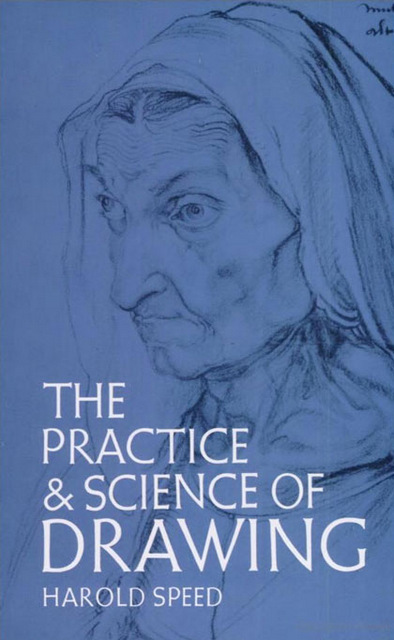 Because of their intelligent combination of useful advice and sensitive reflection on the nature and meaning of artistic practice, Harold Speed's instructional manuals on drawing and painting have long been considered valuable resources for artists. 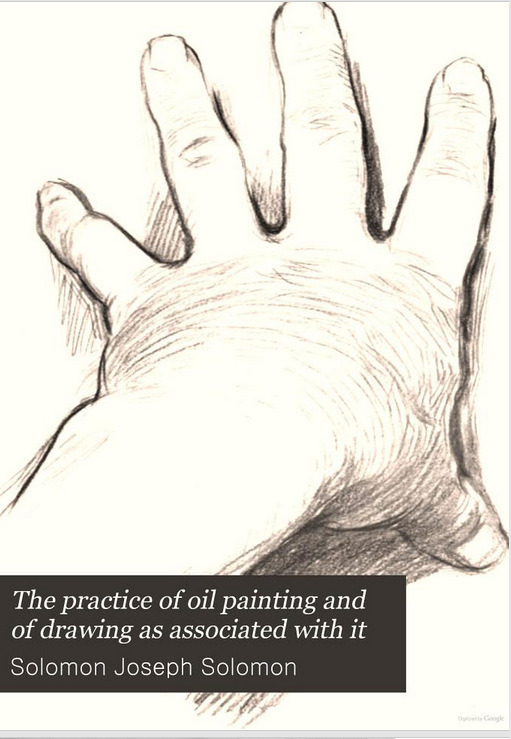 This instructive volume introduces not only the techniques of oil painting but also the underlying principles of figure drawing. Written by a distinguished Pre-Raphaelite painter, portraitist, and book illustrator. A recent re-issued by Dover books and with a foreword by James Gurney proves this book to be ageless classic to those that want to understand fundamental and traditional painting procedures. Publishers: Philadelphia: J. B. Lippincott Co.
John Ruskin, English author, art critic, draughtsman, watercolorist, a prominent social thinker and philanthropist. The book walks you through a series of exercises beginning with a dip pen and ink and later moving to pencil and watercolor. 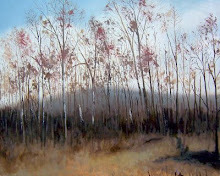 I particularly like emphasis on Sketching from Nature (life) and the study of nature. The illustrations are pretty sparse but the online teaching collection more than offsets the study of his writings. 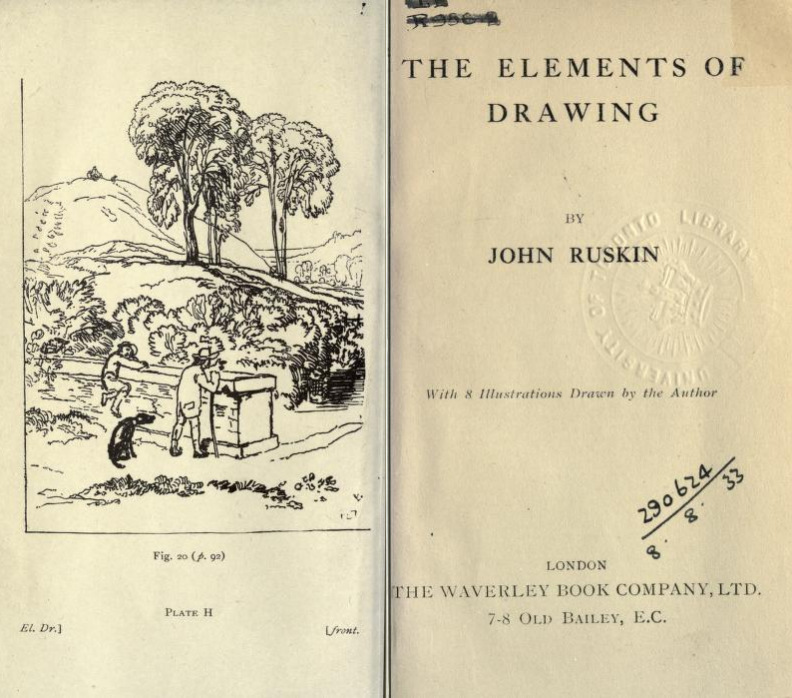 John Ruskin assembled 1470 diverse works of art for use in the Drawing School he founded at Oxford in 1871. 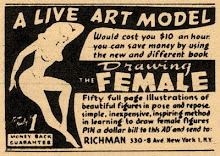 They included drawings by himself and other artists, prints and photographs. These were arranged in series and placed in special cabinets. All of which is view-able online through an interactive. 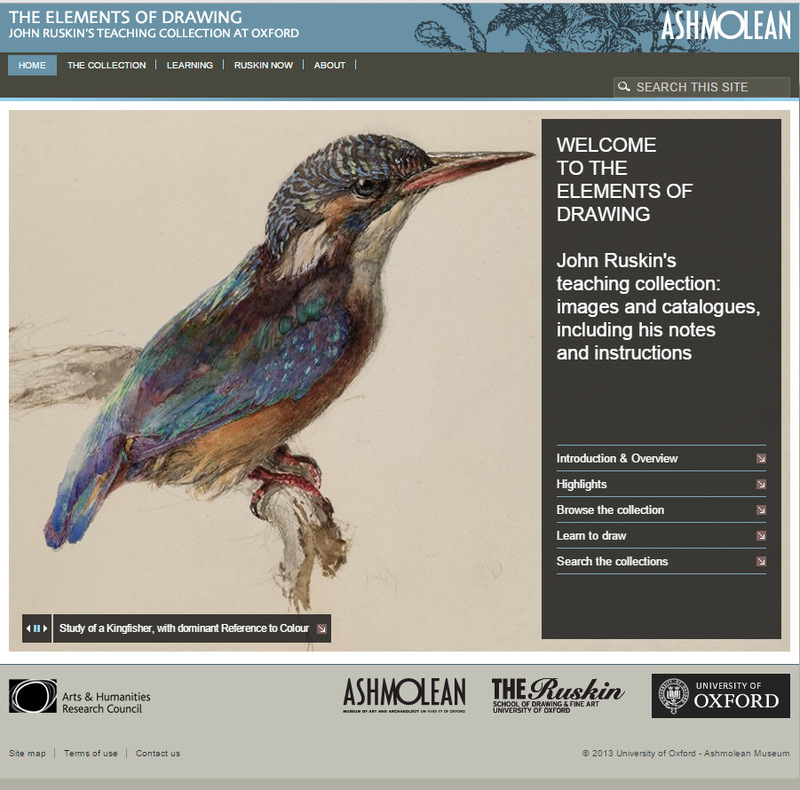 The Elements of Drawing website provides a visual interface to Ruskin's Teaching Collection, uniting his catalogue, comments and instructions to his students with modern curatorial information about each object. Sir Alfred Edward East - His romantic landscapes show the influence of the Barbizon school. His book The Art of Landscape Painting in Oil Colour was published in 1906. 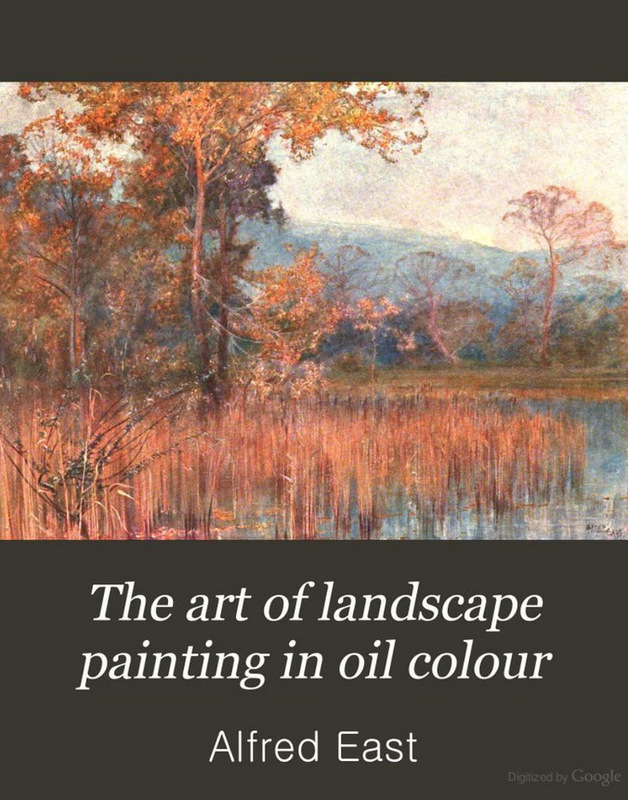 And is another re-released classic that is available in the public domain, basically this is a solid book on the techniques of painting landscapes. But the writing has a interesting tone to it as written by a man inspired by nature. As I read this book I could not help but think how much of what he wrote in 1905 is echoed by writers today. 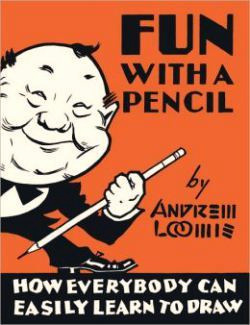 Andrew Loomis wrote several great instructional books but I choose to put “Fun with a Pencil” up first because, well it’s just fun. All of Loomis’s books are like that - great information, clear and visual demonstrations and fun. Best way to learn anything. This is still probably my favorite book on drawing, I loved it as a kid and back in the day,… when I was in school studying illustration, Andrew Loomis books were essential in the education of every commercial artist and fine artist. 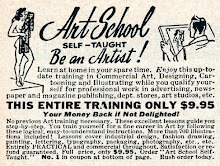 Loomis wrote six major instructional books and many step by steps books on painting and drawing with Walter Foster art books. Even with the lightness to the writing in his books they are filled with practical and serious information for the artist. His “Book Eye of the Painter” I feel is his most important work. William Andrew Loomis (1892–1959), better known simply as Andrew Loomis, was an American illustrator, author, and art instructor. 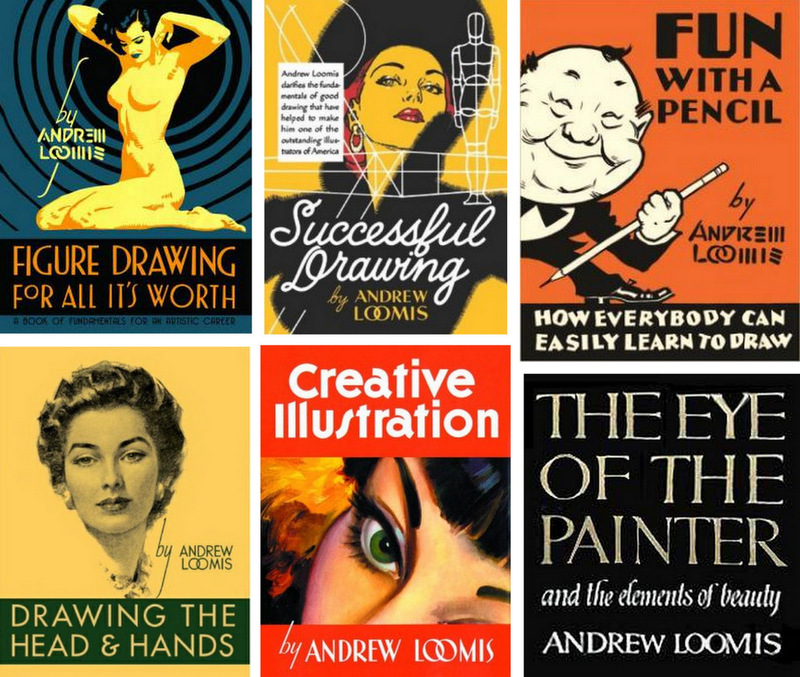 His commercial work was featured prominently in advertising and magazines; however, Loomis is best known as author a series of instructional art books printed throughout the 20th century. Long after his death, Loomis' realistic style has continued to influence popular artists. 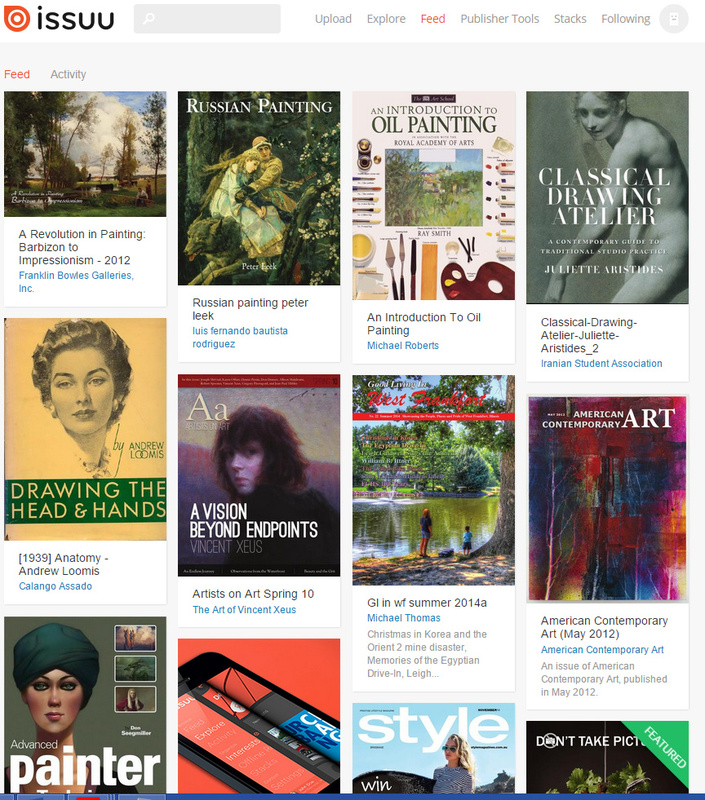 Issuu is a different type of resource, certainly a more tech savvy and sophisticated format. It has virtual touch, where you turn pages and has high res imagery, making it a good format for visual artist. 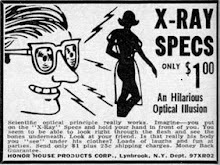 There is such a variety of publications, you will find yourself wading into a major time sink. But certainly some great books and publications of interest to the artist are here. Classical Drawing Atelier: A Contemporary Guide to Traditional Studio Practice by Juliette Aristides, a great book found here. 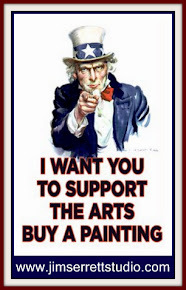 And definitely do not forget the resources available through Blogger, visit the site of fellow art –bloggers in my side bar and add them to your reading list. The collaborating and sharing resources online are constantly expanding, what the future brings will be interesting. Please join and support Creative Commons and help keep free access and share your knowledge and creativity with the world.